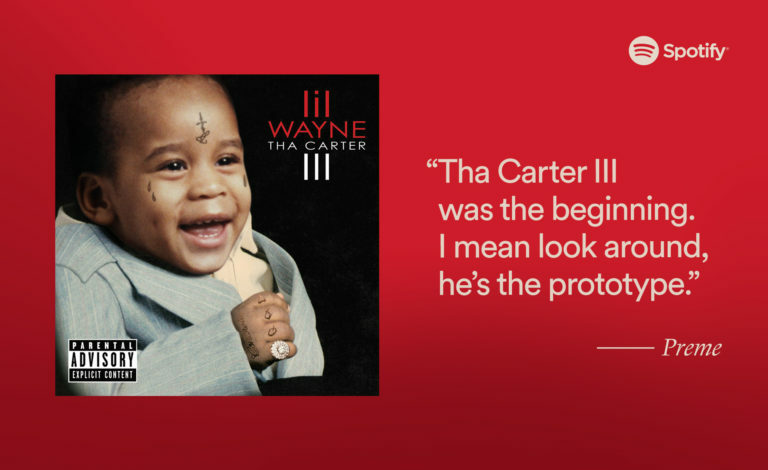 It’s been 10 years since the debut of Lil Wayne’s groundbreaking “Tha Carter III,” but that tattooed baby face on the album cover is as fresh as ever. 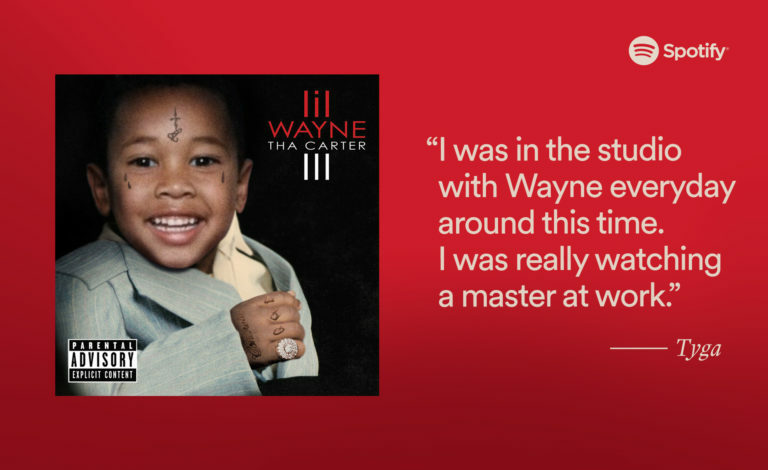 From its first leak until now, the album has paved the way for up-and-coming rappers and left a lasting imprint on hip-hop. 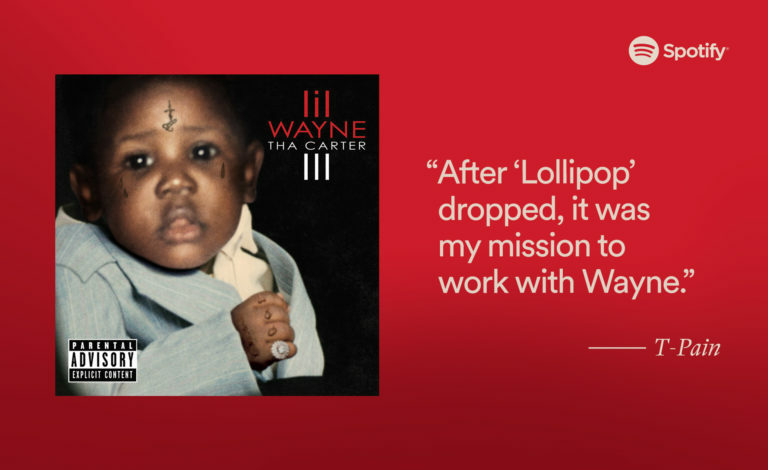 The Grammy Award-winning Best Rap Album, which originally dropped Sunday, June 10, 2008, features the hit singles “Lollipop” and “A Milli,” along with “Mrs. Officer” and Grammy-nominated hit “Mr. 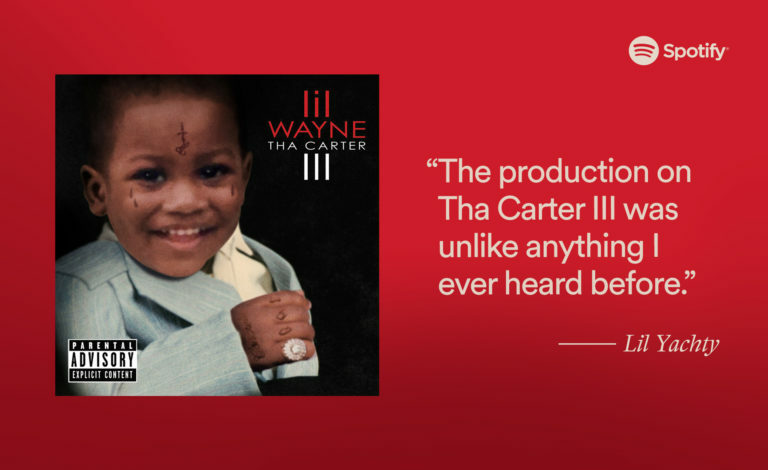 Carter.” Lil Wayne had already been on the scene with a long stream of mixtapes, but it was “Tha Carter III”—also known by fans as C3—that secured his legacy. The now-iconic album went platinum only one week after its debut and is featured on Rolling Stone’s list of the 500 Greatest Albums of All Time. And the album is still bumping on its 10th anniversary: Streaming numbers have consistently increased on Spotify since “Carter III” appeared on the platform in 2010. 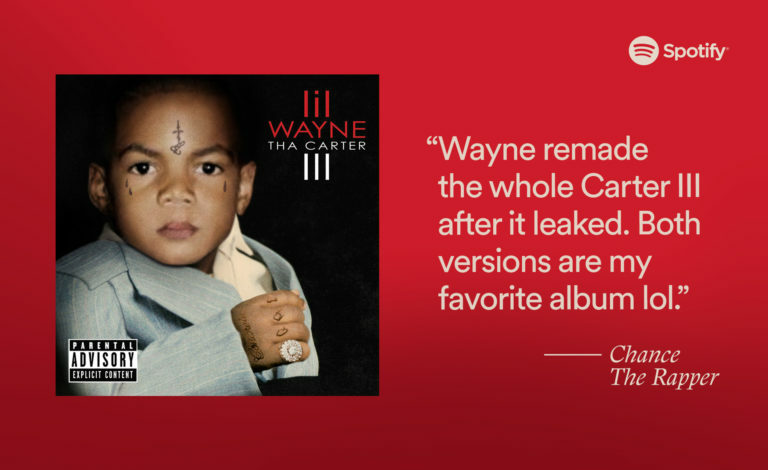 According to Chery, the standout album still influences modern rappers. 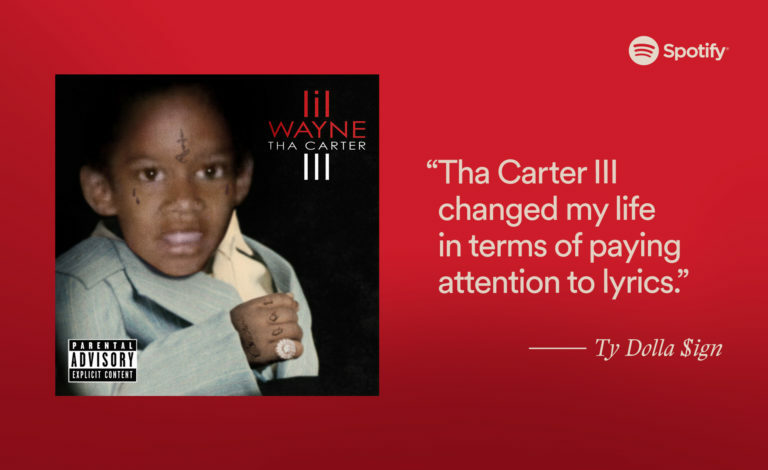 To celebrate the album’s anniversary and success, we teamed up with some of today’s biggest rappers, including Chance The Rapper, Wiz Khalifa, Migos, Lil Yachty, and Lil Uzi Vert, to recreate Tha Carter III’s iconic album cover art. 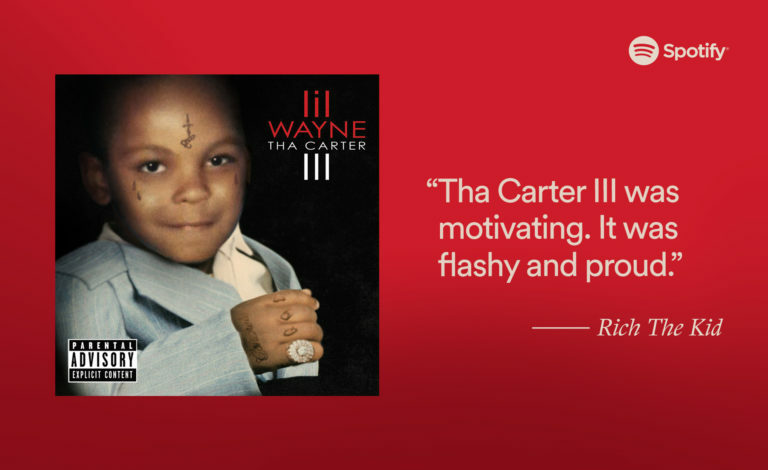 While the original cover features an image of young Dwayne Michael Carter Jr. (Lil Wayne) fitted in a dapper suit, our rappers pay homage to it by inserting their own personal childhood photos — a testament to its profound influence on their artistic careers. 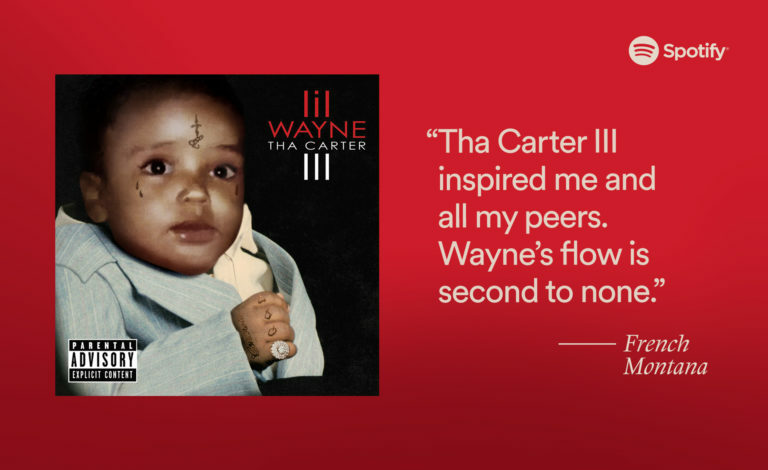 “With a career as illustrious as Wayne’s, we thought it was paramount to give an artist ‘the flowers’ while they can still smell them,” says Brittany Lewis, Creative Manager, Hip-Hop and R&B. 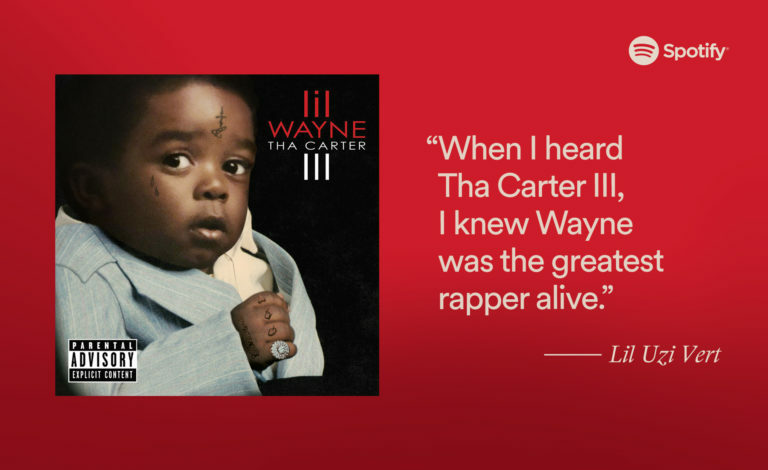 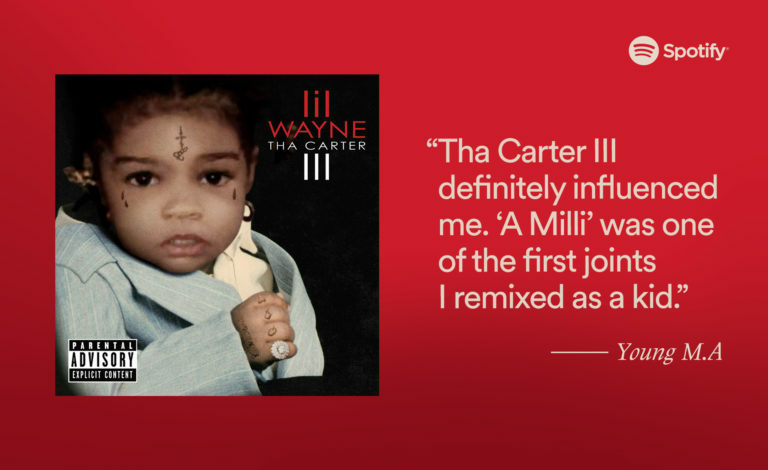 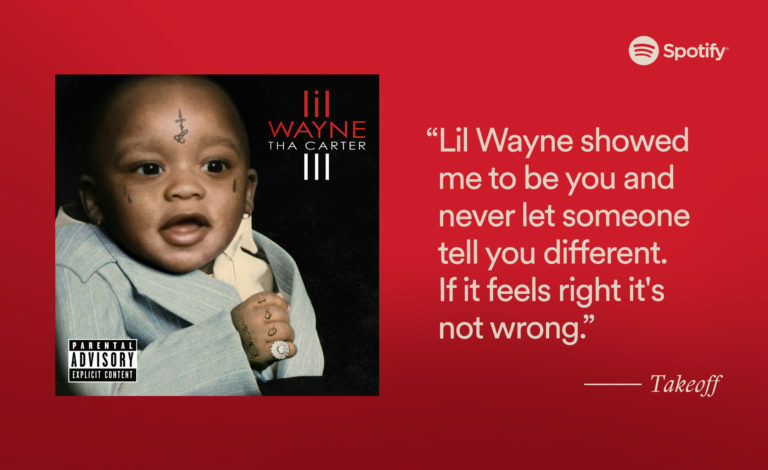 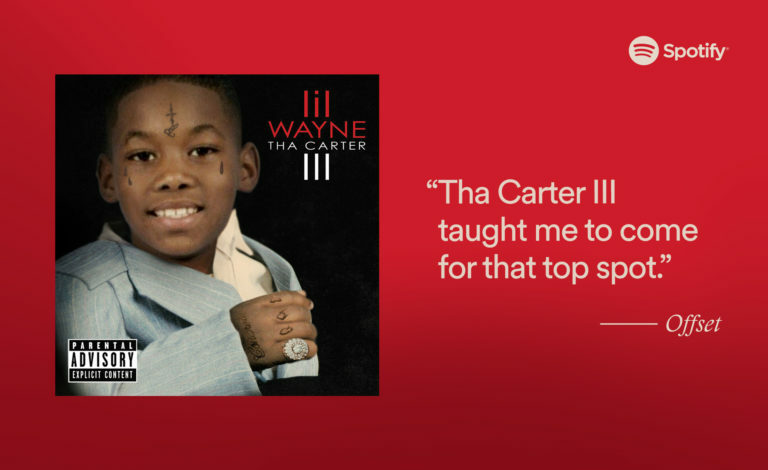 The musicians also shared their thoughts on how “Tha Carter III” inspired each of them—and ultimately the entire rap genre.